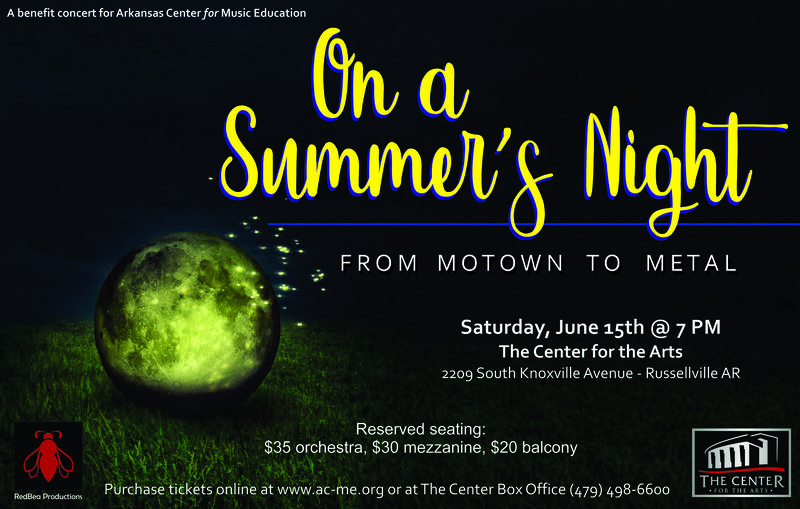 Coming back to the Center for the Arts, Saturday, June 15th @ 7 PM . . .On a Summers Night! Join some of Arkansas' finest musicians in an evening of music from Motown to Metal. This event is a fund raising concert to benefit Arkansas Center for Music Education. Be prepared to hear favorites from such artists as Diana Ross, Aretha Franklin, the Temptations, and Michael McDonald all the way to Queen, TOTO, STYX, Loverboy, and BonJovi. Feel free to sing along with the band or get up and dance! Don't miss this feel-good musical journey with DJ Rich Mann (Richard Minnick) led by musical director Brian Faulkner, technical director Larry Roberts and these musicians: Mike Lovelady, Paul Milner, Andy Lindemann, James Primm, Jeff Sweeden, Wren Whiteseven, Zac George, Shirley Faulkner, Boyd Barton, Emory Molitor, Mark Gotcher, Coralin Daavaler, Joe Cross, Bill Parton, Brice Gunter, Mike Ridgeway, and Tyler Petty. The Community Festival Chorale, Arkansas Center for Music Education's local community choir, will also join on several songs. The two-hour show will include strobe and moving lights, along with non-toxic theatrical fog. Doors open at 6:15. 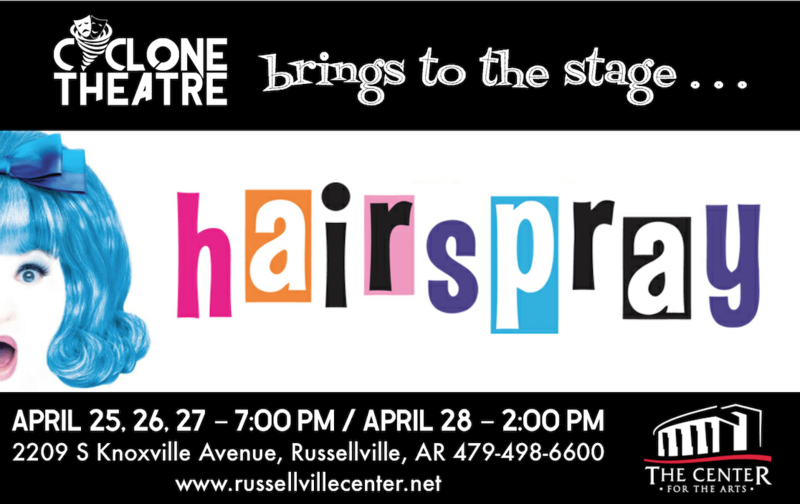 For handicapped seating, call The Center Box Office at 479-498-6600. Tickets can be purchased online HERE or at The Center Box Office. On a Summer's Night . . . don't miss it!